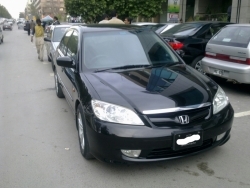 Honda Civic, Vti oriel. 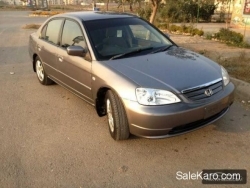 (1999) Islamabad Registered. Tokens Paid up till 2016 AC working perfectly. Every Gadget Working. 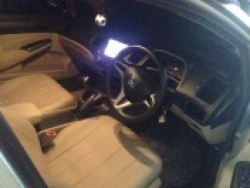 Immaculate Interior with leather seating. Good Condition Genuine car. Want to sale urgently on Cash only. Owned since 2010. 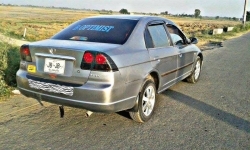 Out of 125000km, 90% driven on motorway between Lahore and Islamabad (smooth drive). One hand driven. 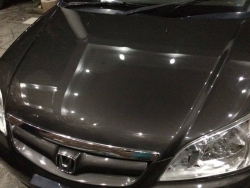 Regularly maintained from Honda 3S dealership after every 5000 km (pictures attached). Brake pads, spark plugs, oil etc all changed before time as per honda guide book. 100% fit. Not a single work required. Tyres and engine in perfect shape. Drives like new. When compared, it is a far better option than an abused car driven only 50k but not maintained properly. Smooth drive. Only want to dispose it off to purchase another vehicle. 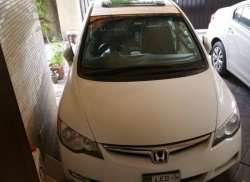 The car is registered in Lahore but is being maintained in Islamabad, but arrangement to check the car can be made for parties interested in either of the city. Looking for serious buyers who are interested in making a prompt purchase. 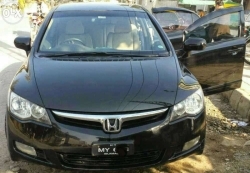 Honda Civic VTI registered 2008 , Black Color, only driven in Islamabad, un-touch, Interior, excelent condition, Manual gears, BackCamera, DVD Player, Alloy Rims, car can be seen in I-9 islamabad. 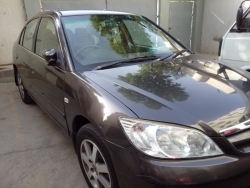 It's Honda Civic VVTI ORIEL, used only on weekend in good condition. Price negotiable. 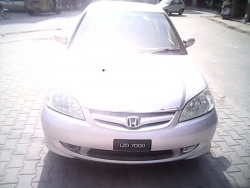 It's almost 2004 model like previous buyer registered it at the very end of 2003. 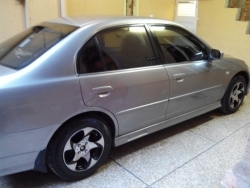 VTI Oriel, 19999 model Lahore Registered, Expensive rims with new tyres, HIDS installed, Sunroof, down piping. Ferio Seats, Original Documents. 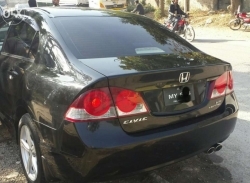 Honda Civic VTI registered 2008 , Black Color, only driven in Islamabad, un-touch, Interior, excelent cobdition, Manual gears, BackCamera, DVD Player, Alloy Rims, car can be seen in I-10. 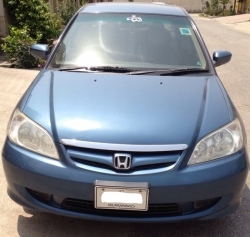 Honda Civic Vti Prosmatic 2004 is up for sale. First owner car . 1600 cc petrol engine. Silver in color. Family spacious car. Treat yourself with such luxurious car. Unique interior and excellent exterior. 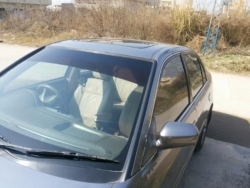 Electrical Adjustable door mirrors, tilt adjustable steering wheel , immobilizer theft detirrent system, digital speedometer, coolant temperature and fuel are displayed at top. Civic has class of it's own. Personally driven immaculate condition. Don't dream it , drive it. Serious buyers may contact.